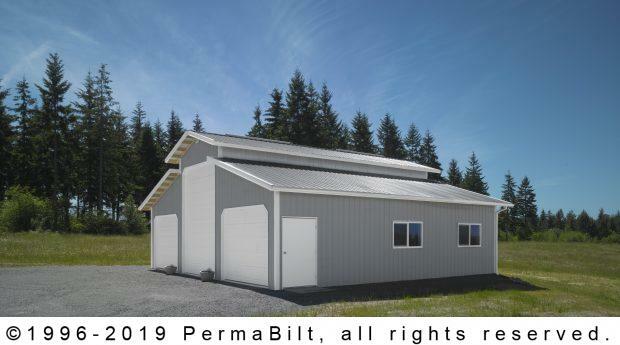 A client residing in Roy Washington required a post frame steel garage and RV storage building. 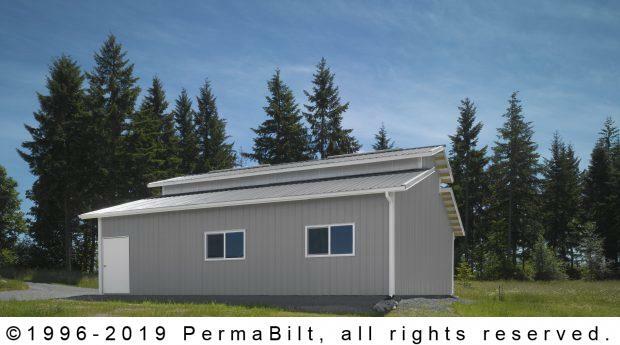 Our PermaBilt® Building Representative met with him to review the site access as well as finding a design direction to fit our client’s needs and budget. Often times a client requires a building, but isn’t certain what design would be best suited for his needs and site size. 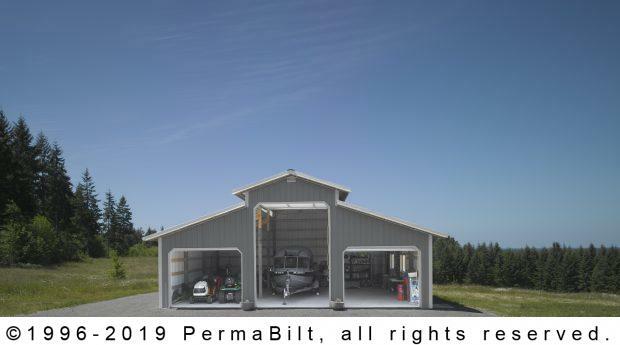 After meeting 3 times, assessing the customer’s needs and wants for today and the future, they decided on this functional, stylish monitor garage design with 2 garage doors and and large RV storage bay. This customer lived in a gated community and wanted to ensure that the building would seamlessly blend with the surroundings. They had the steel siding material approved by their homeowner’s association up front to avoid any nasty surprises down the road. It was approved and we moved ahead with the permitting. The (3) garage doors are overhead short panel with mitered corners. The tall door is 14’ high. The top of the garage and storage building is 16’ high. (2) 2’ x 36’ poly eave lights run the length of both sides of the garage. By providing natural interior light this eavelight not only saves money on the lighting bill, it is up to 20% stronger than fiberglass, has 100% UV protection, 90% light transmission and doesn’t yellow with age. 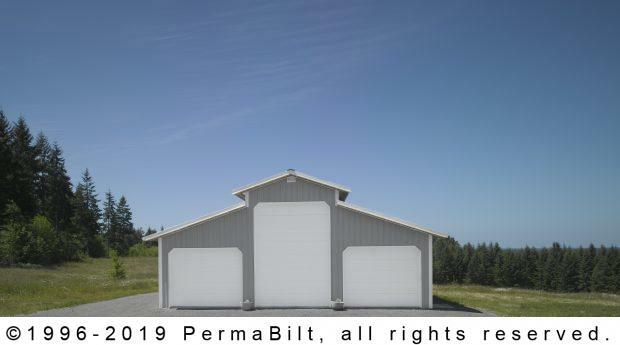 The (2) windows are 5’ x 3’ and the walk-in PermaBilt® door is 4’ x 6’8”.